Enlarge / Some lithium metal. Note the surface has already reacted with something. Lithium ion batteries, as the name implies, work by shuffling lithium atoms between a battery’s two electrodes. So, increasing a battery’s capacity is largely about finding ways to put more lithium into those electrodes. These efforts, however, have run into significant problems. If lithium is a large fraction of your electrode material, then moving it out can cause the electrode to shrink. 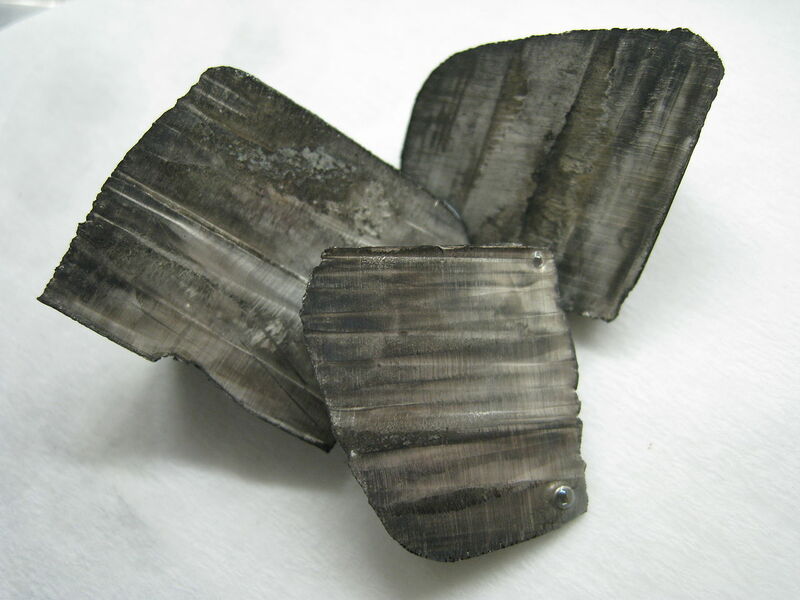 Moving it back in can lead to lithium deposits in the wrong places, shorting out the battery. Now, a research team from Stanford has figured out how to wrap lots of lithium in graphene. The resulting structure holds a place open for lithium when it leaves, allowing it to flow back to where it started. Tests of the resulting material, which they call a lithium-graphene foil, show it could enable batteries with close to twice the energy density of existing lithium batteries. One obvious solution to increasing the amount of lithium in an electrode is simply to use lithium metal itself. But that’s not the easiest thing to do. Lithium metal is less reactive than the other members of its column of the periodic table (I’m looking at you, sodium and potassium), but it still reacts with air, water, and many electrolyte materials. In addition, when lithium leaves the electrode and returns, there’s no way to control where it re-forms metal. After a few charge/discharge cycles, the lithium electrode starts to form sharp spikes that can ultimately grow large enough to short out the battery. PreviousJE ME SUIS FAIT HACKER SUR LE DARKNET !